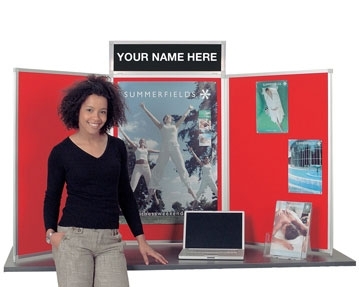 If you need attractive, practical exhibition display boards, you’ve come to the right place. We offer a wide range of display solutions that are ideal whether you are looking for temporary table-top panels or a semi-permanent floor-standing display. Perhaps our lightweight table-top folding panel systems would be ideal for you. 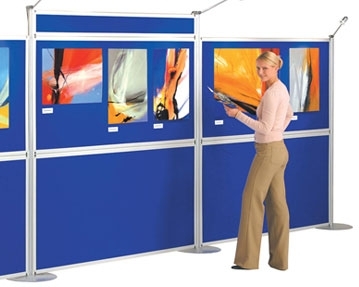 Available in landscape or portrait orientations, these exhibition panels are easy to transport and set up. 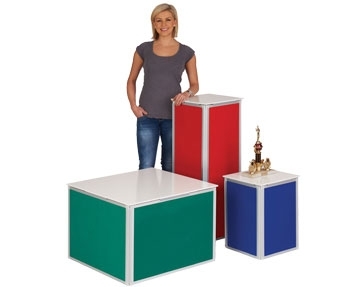 We also offer heavy-duty table-top models made from robust aluminium framed panels. In addition, our range includes Busyfold floor-standing folding displays complete with top and bottom panels that lock together for high levels of stability and security. You can choose the number of panels you require to create a bespoke solution that matches your exact requirements. Alternatively, perhaps our OnBoard display system that can be arranged in five configurations would suit your needs, or maybe you like the look of our Mightyboard system that’s designed for large, semi-permanent displays. 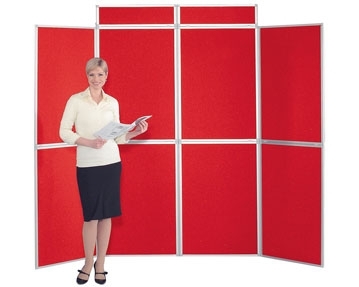 This sizeable product features panels of 180x120cm that are mounted on a sturdy base and pole system. Our displays are available in an impressive array of colours, from understated blue, grey and green to striking red, magenta and orange. 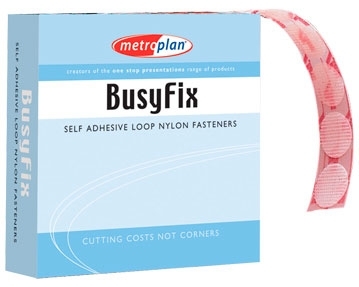 You can even select twin coloured designs if you’re after a little extra variety.